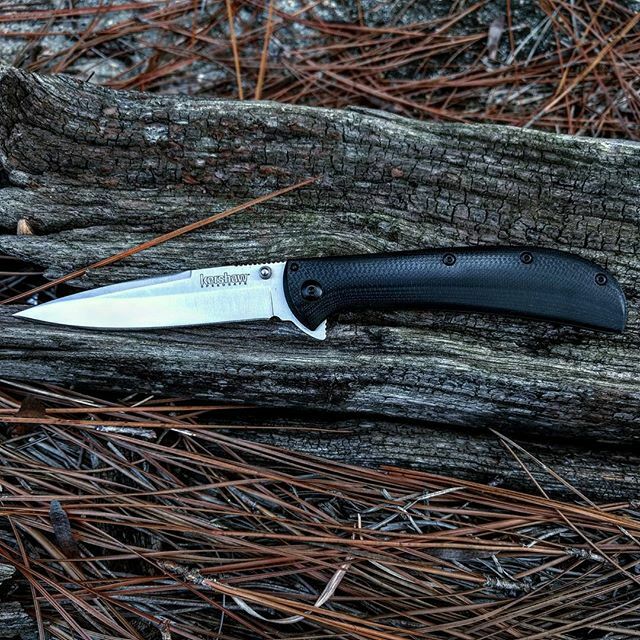 Kershaw AM-4 2330. The AM series of knives are from the Timeless AL MAR™ KNIVES designs collection. 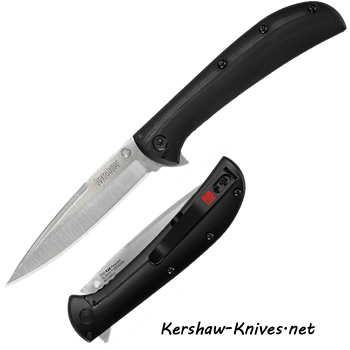 Kershaw uses top notch materials but have worked very hard to keep prices economical so that all can enjoy them. This is the larger one in the series of the AM's, it's blade is 3.5 inches long and made of the 8Cr13MoV steel with a satin finish. It opens quickly with the flipper design and is held open during use by the liner lock system. The handle is smooth to touch with a polished contoured G-10 front and a contoured steel back with black-oxide coating. The pocket clip is a deep carry with only the right side and tip up position available. To keep this lightweight and for good looks, there is red tube spacers, these will match the red logo for Al Mar that is placed on the pocket clip.